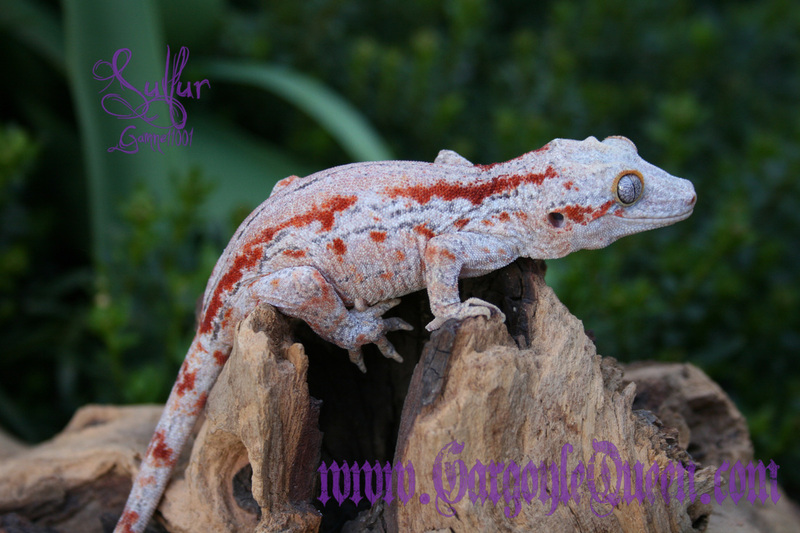 Every New Caledonian gecko has a range of color that changes based on environment, day/night, temperature, humidity, stress, mate availability, etc. When a gecko is completely "fired down", it has the least amount of color it can have. 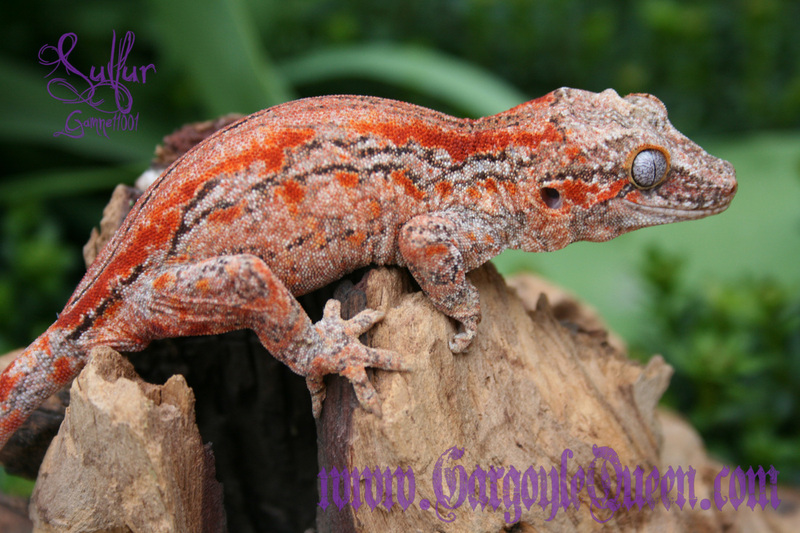 If a Gargoyle has brightly colored orange or red stripes/blotches , those always stay visible on the gecko. 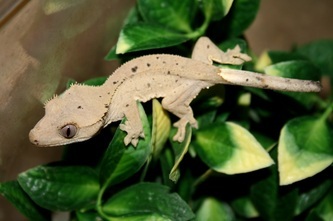 A Crested will look lighter and pastel. When a gecko is completely "fired up" that means it has the most color pigmentation showing up it can have. 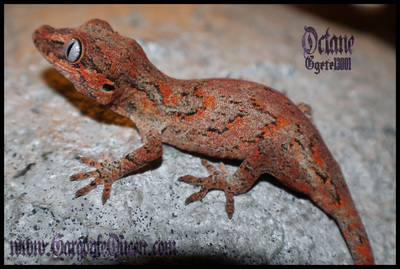 The orange or red stripes/blotches on a Gargoyle will be a little brighter in this state as well. 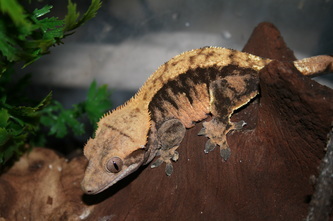 A Crested will have crisp and bright coloration. 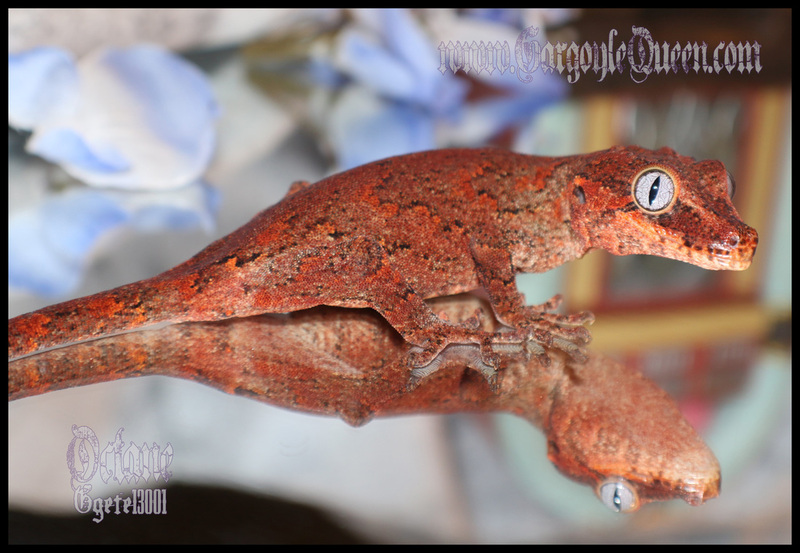 I've included a few sets of progression photographs to demonstrate this below. 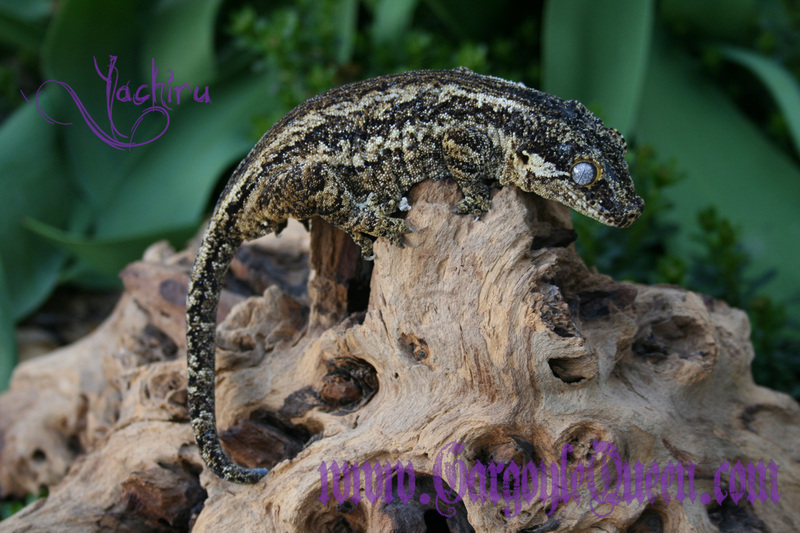 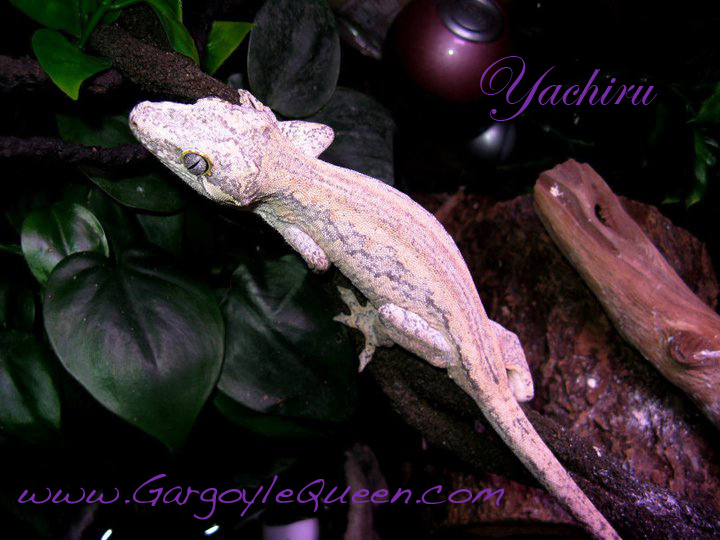 This is one of my breeder females, Yachiru. 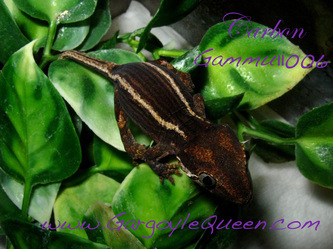 She has some yellows in her background coloration so is not considered a true "black and white". 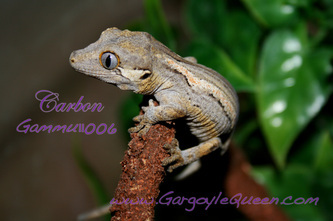 Octane is a very unique holdback GQR production. 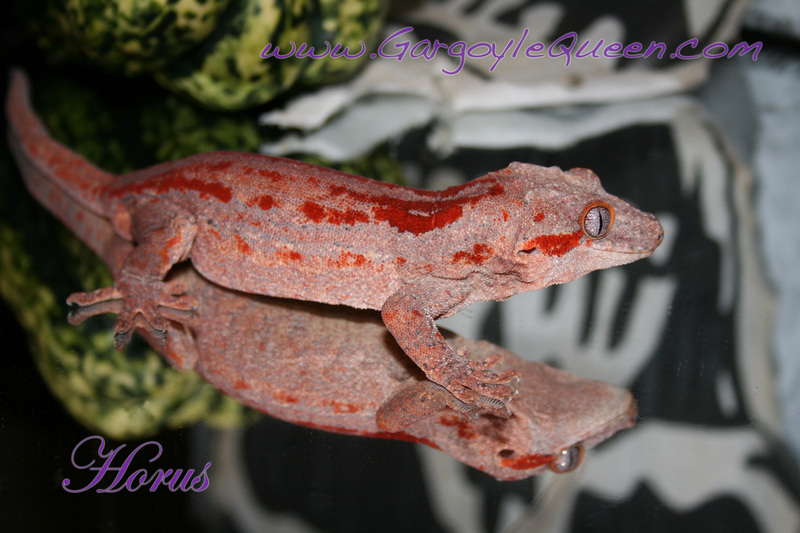 She is a beautiful mosaic banded with red background. 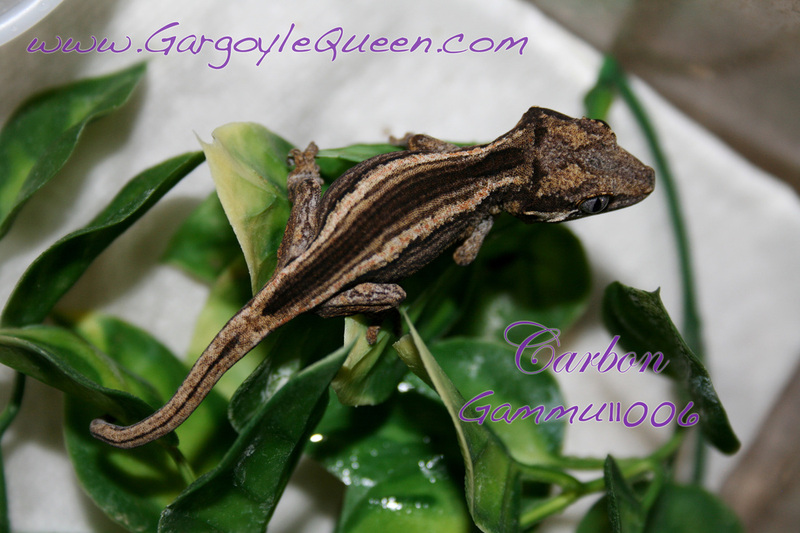 This is one of my 2011 hatchlings, Carbon. 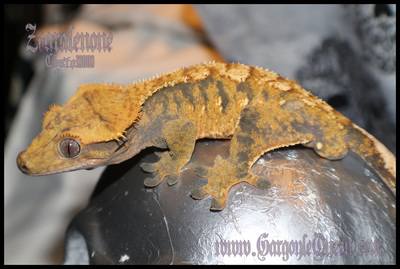 This little one is an excellent example of extreme color changes, although as an adult, her extreme change mellowed out. 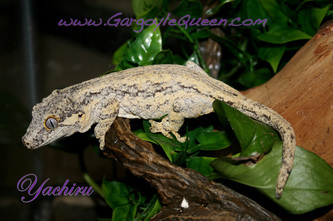 This is another one of my 2011 hatchlings, Sulfur. 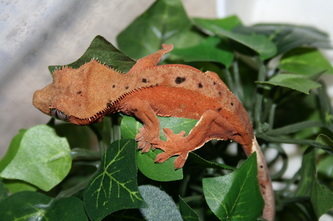 This gecko is starting to show background coloration, which may develop more as the gecko matures. The first two pictures were taken minutes apart and those pictures were taken a couple days apart from the third. 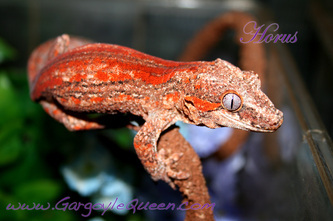 This is one of my male breeders, Horus. He has some intense orange/red stripes/blotches and also fires up with a red background. When fired down, his background coloration looks pink. 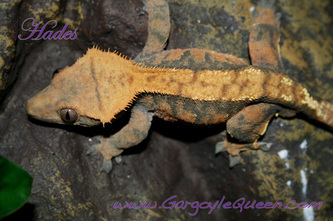 This is one of my breeder males, Hades. He is a very interestedly patterned orange/grey harlequin. 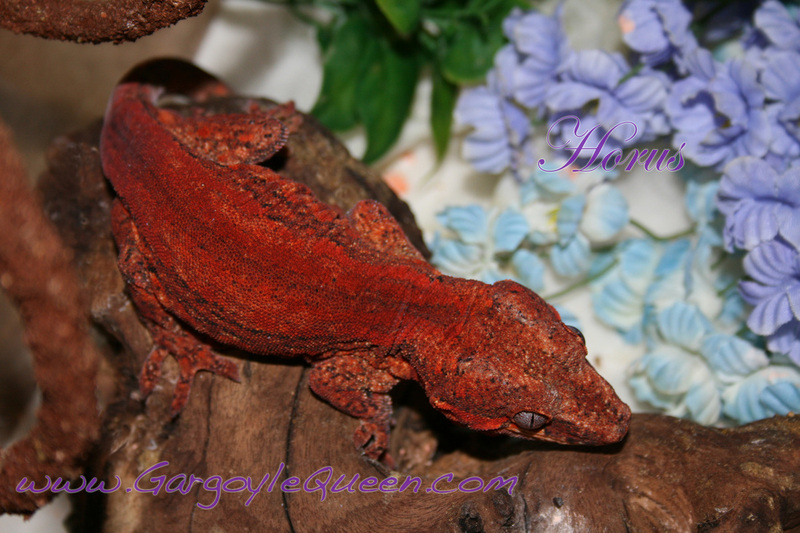 He could be considered a Halloween based off his fired up coloration. 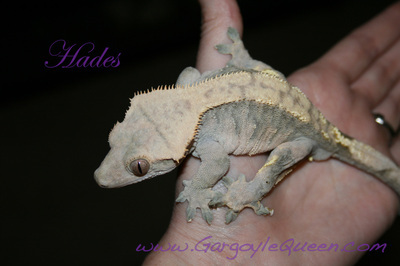 This is one of my breeder males, Zearalenone out of Hades above. 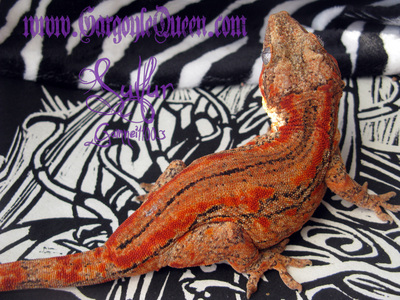 He is a gorgeous extreme harlequin tricolor. This was one of my holdbacks from an ACR group, Glutamic Acid. This gecko still has a lot of color development to go, but is already showing huge potential to be a 'stop sign red' screaming dalmatian (from Chips line). 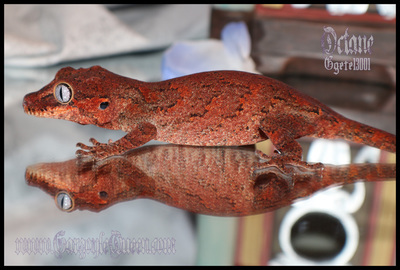 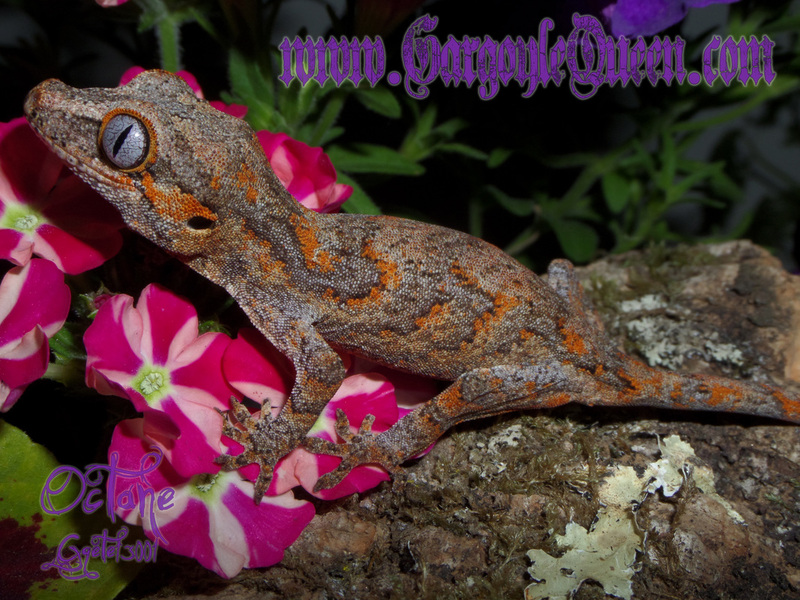 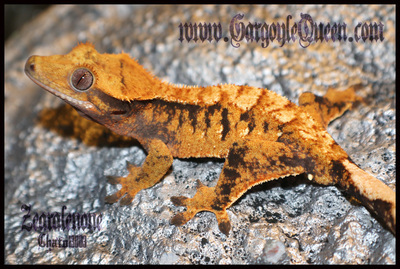 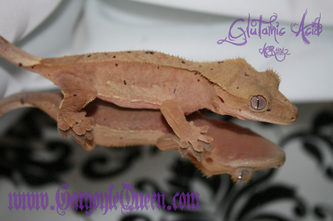 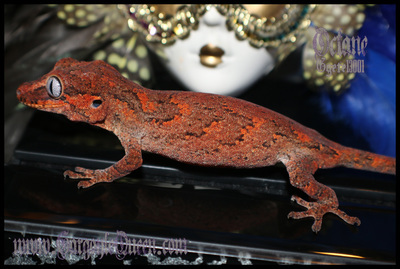 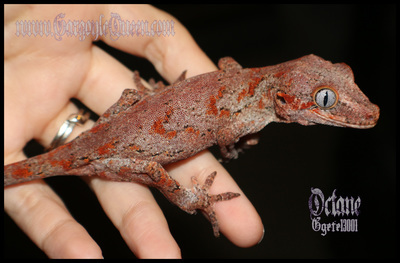 This is a great example of a Crested gecko's color variation.